Nonviolent Communication (NVC), sometimes referred to as Compassionate Communication, guides us to re-frame how we communicate with each other. NVC helps us identify what is alive inside of us and find ways to express that. It allows us to work through conflict peacefully with integrity, and improve how we express our feelings and needs and make requests. This workshop will explore the powerful principles of Nonviolent Communication (NVC), a language and consciousness of compassion that is used worldwide to help people transform blame, anger, and criticism into understanding, connection, effective communication, and peaceful resolution of conflict. By focusing on our observations, feelings, needs, and requests, we can increase the empathy and honesty we give both to ourselves and to others. Free for current and new prison volunteers. 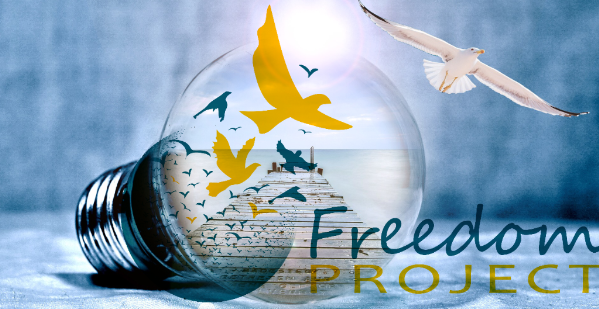 Freedom Project operates on a gift economy. Gift economy asks participants to receive the gift, and to contribute an amount of their choice that honors and reflects the value they received and their capacity to give. Your contributions towards this event are greatly appreciated. No one will be turned away for lack of funds. This event is for those 18 years or older.